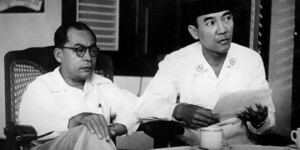 Although Sukarno and Hatta had proclaimed Indonesian independence in Jakarta on 17 August, they had no effective means to spread this news to the people. In fact, because of the broken communication infrastructure, some of the territory covered by the proclamation and some of the people intended as citizens in the new state did not hear until months later. Even around the capital, Jakarta, the news took a day to reach some people. In an Islamic school just outside of the city limits, Kyai Haji Noer Ali presided over several dozen male students. One of his students attended the proclamation in person on 17 August, and he immediately came back to report the news to his teacher. The next day, Noer Alie called together all of his students to share the news and explain it to them. 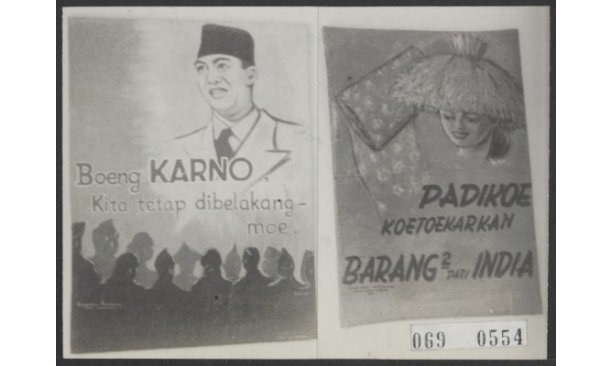 According to another student who was present, the explanation included the idea that Indonesians were now free from all foreign peoples – not only their Dutch colonial overlords but also the Japanese military government and local Chinese landlords. Other Japanese commanders were less willing to spread the news about the Japanese surrender and the Indonesian proclamation of independence (news that was generally spread together). In South Kalimantan, although the Japanese commander held a meeting to share the news three days after the proclamation in Jakarta, word did not leak to the general population until the last week of August when a news report from Jakarta was reprinted locally and circulated at a night market in the town of Kandangan. From there, it spread by word of mouth to villages, where it was received sceptically by people already awash in a sea of rumours. Perhaps the last Indonesians to hear of independence were those trapped outside of the country during the war. The several dozen Muslim students from the Netherlands East Indies who spent the war impoverished in Cairo, for example, only heard about Indonesian independence in late September due to an Allied blockade on the circulation of this news. 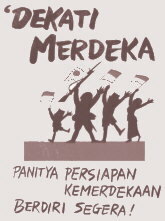 According to the memoir of one of these students, they were so enthusiastic to do their part for the country’s independence struggle that, as a group, they wrote and published a booklet about Indonesian independence. As it happened, though, their information was so incomplete that they had to fabricate entire sections – including the circumstances of the proclamation itself! Although the news spread slowly through a wide range of channels, it was uniformly received with excitement by Indonesians. This announcement marked a stark departure with the country’s history up to that point and foreshadowed the great challenges to come.